The 2017 Baseball Hall of Fame induction ceremony doesn’t take place until the end of the month, but if you’re Homer Jay Simpson, you’ve already been honored this year. On May 27, 2017, the National Baseball Hall of Fame and Museum celebrated the 25th anniversary of that iconic Simpsons episode, “Homer At the Bat.” This Simpsons episode featured the voices of Ken Griffey Jr., Darryl Strawberry, Jose Canseco, as well as other baseball personalities, and first aired February 20, 1992. John McGraw made his debut as a major league manager on April 18, 1899 at the age of twenty-six. His Baltimore Orioles defeated the New York Giants (McGraw’s future team) 5-3 that day. 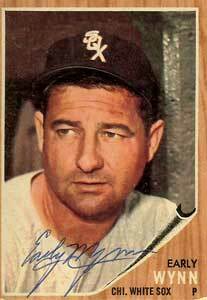 McGraw’s managerial career would span 33 years, during which time he won ten pennants and three World Championships. He was elected to the Baseball Hall of Fame in 1937. The year 1971 turned out to be a rough one for Baseball Hall of Fame candidates. That year, no player received the necessary three-fourths of the votes to be elected into the Hall. The two players who came closest were Yogi Berra (with 67.2% of the votes) and Early Wynn (66.7%). Both players would be elected into the Hall of Fame the following season.